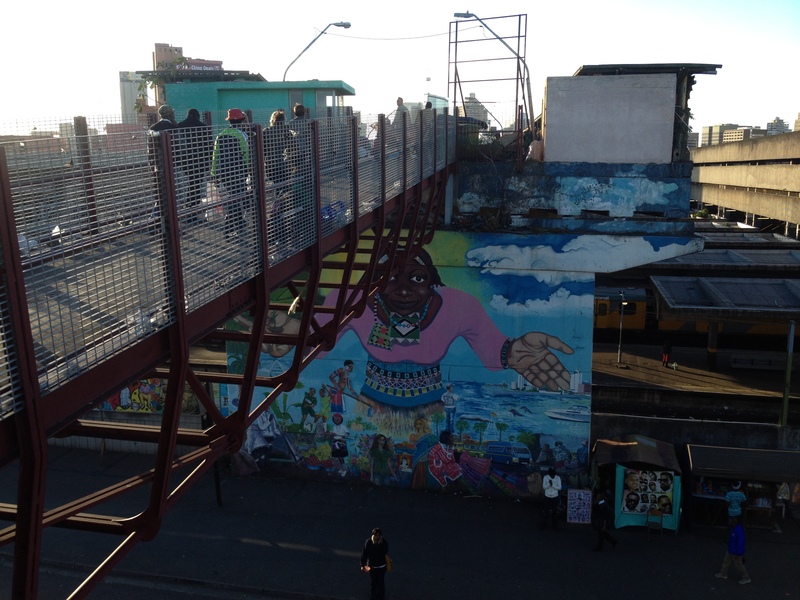 Warwick Junction has become a prime example of collaborative and “people-centered” governance in South Africa. 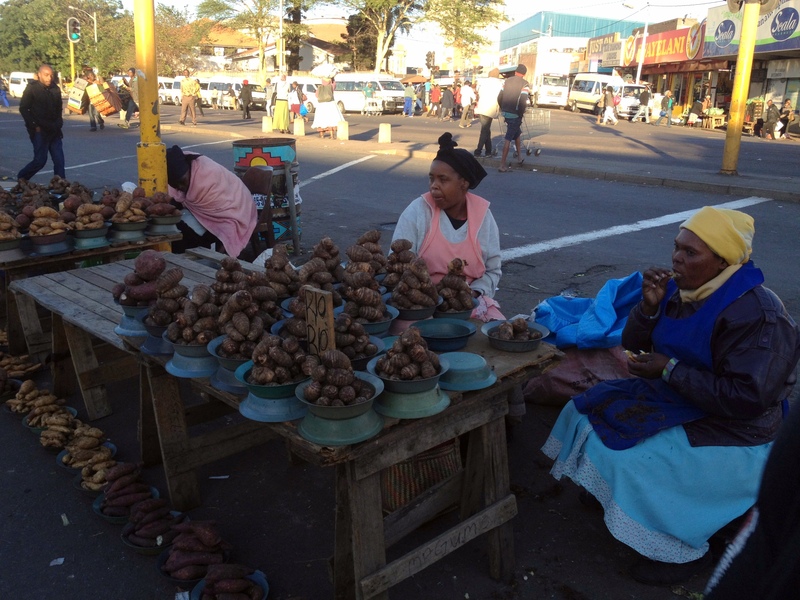 Since the City’s launch of the area-based management initiative in 2001, there has been a surge of energy and community activism amongst the area’s informal traders. 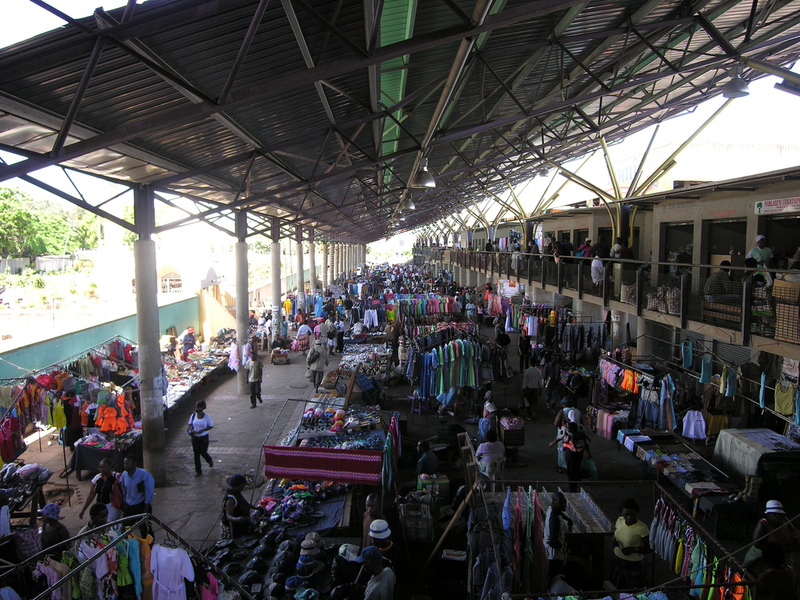 The “bottom-up momentum”, combined with infrastructure improvements like widened pavements and storage facilities, has translated into bustling markets with a constant flow of commuters shuffling between traders’ stalls. The lively atmosphere of the markets has also led to significant economic development and stability, while also deterring inner-city crime. Although plans to build a shopping mall in Warwick Junction threatened the market in 2009, strong local campaigns continue to fight against such infringements, and the markets continue to be the alternative, inclusive retail model of Durban. With 38,000 vehicles and 460,000 people passing through daily, Warwick Junction is South Africa’s largest transportation and trading hub. 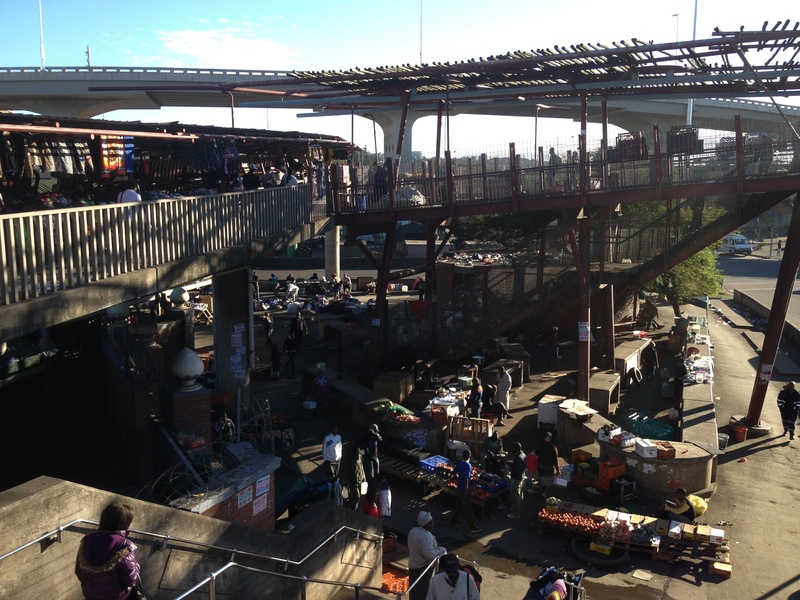 Located on the outskirts of Durban’s inner city, the three different markets operating in the area—the Meat, Early Morning, and Victoria Street markets—occupy a repurposed highway and the land adjacent to Berea Road train station. Each day, an estimated 8,000 traders come together offering an eclectic range of traditional African herbs and medicine, artisanal goods, and fresh produce. 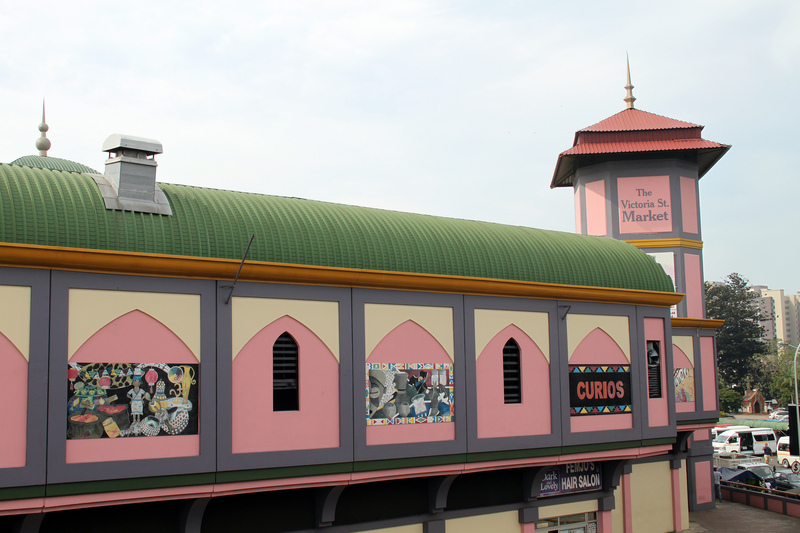 Given Durban’s historic ties with India, there is also a large selection of Indian products at the two-floor complex of the Victoria Street market, such as curry powder, spices, and incense. With its numerous purple minarets, the otherwise modern building resembles a Maharajah’s palace and it functions as the key landmark of Warwick Junction. 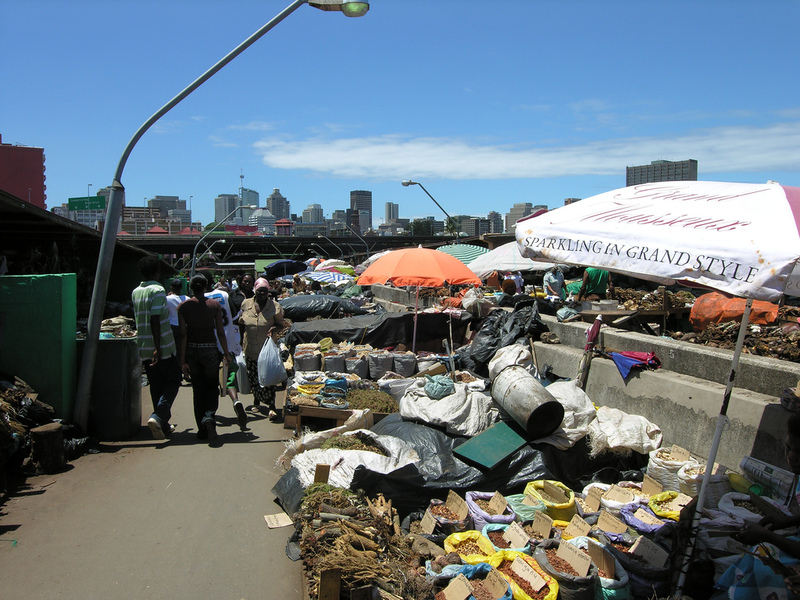 Prior to the 1990s, Warwick Junction suffered due to apartheid government’s disdain for the informal economy. During this time, the market, along with a host of other local institutions, suffered from numerous hygiene and trade legislation. It was not until 1994, following the election of the first South African democratic government, that mandates were put in place to better support informal trade. The markets have since had a positive impact on the area, and on the lives of its many local entrepreneurs.